Production has started in Abu Dhabi on Bollywood blockbuster ‘Bharat’, starring superstars Salman Khan and Katrina Kaif and directed by renowned filmmaker Ali Abbas Zafar. All three Indian icons previously worked together on the box office hit ‘Tiger Zinda Hai’, which also shot extensively in Abu Dhabi. Due to release in cinemas during Eid Al Fitr 2019, ‘Bharat’ is an official adaptation of the 2014 Korean film, ‘Ode to My Father’, which depicted modern Korean history from the 1950’s to the present day through the life of an ordinary man. The movie is being produced by Reel Life Production, which is owned by Salman Khan’s sister, Alvira Khan Agnihotri, and brother-in-law, Atul Agnihotri, and is being shot across various locations in and around Abu Dhabi. The cast also includes veteran star Jackie Shroff and dancer, model and actress Nora Fatehi. 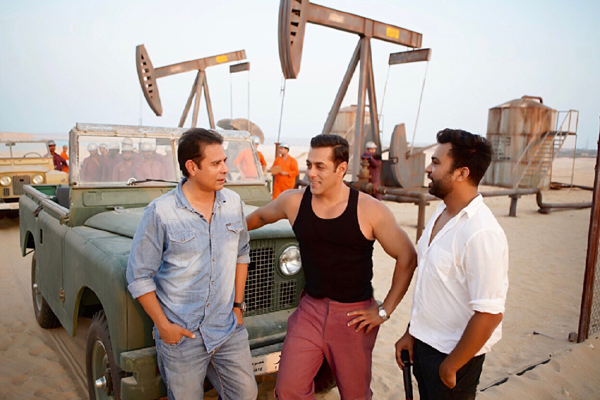 Having spent over 100 days filming in Abu Dhabi during the last year and a half, Salman Khan and Reel Life Productions will again be working closely with twofour54 who are providing full production services for the film, covering key areas such as location assistance, permits and equipment as well as catering, accommodation, travel and transportation. Maryam Eid AlMheiri, CEO of Media Zone Authority – Abu Dhabi and twofour54, said: “Abu Dhabi is always thrilled to welcome Salman Khan and we look forward to working with the cast and crew of ‘Bharat’. Salman Khan’s trio of films that used Abu Dhabi as a location started with ‘Tiger Zinda Hai’, which he and Katrina Kaif shot in the emirate this time last year, spending more than two months in Abu Dhabi. The film went on to become Bollywood’s second-highest domestic box office hit. In March 2018, Salman returned for ‘Race 3’, the action thriller filmed at nine Abu Dhabi locations over 23 days and was in cinemas during Eid Al Fitr 2018.